Operators are the life blood of the foodservice industry. The D.D. 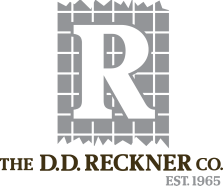 Reckner Company offers regional coverage while maintaining local focus by servicing every distributor in every market and touching all key accounts. We have maintained relationships with distributors, operators and chains that date back 3 generations. We drive growth by controlling outcomes and “encouraging distribution” through large leverageable operators, multi-unit accounts, compliance work, institutional accounts and K-12 sales. We have depth in each of our markets through many years of face-to-face relationships. We work with all distributors fairly in the market. We have assigned reps who sell shoulder to shoulder with USF, Sysco, GFS, Unipro, PFG, Golbon houses, etcetera. In short, we are passionate about the work that we do. We do the right things for the right reasons to stimulate growth for our partners.